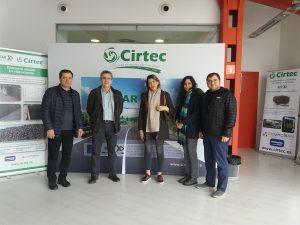 Last Friday 18 January members on the board from Kandovan Pars, leading company in Iran manufacturing and laying on hot asphalt mixtures, visited CIRTEC facilities in Valdemoro to know more about technical properties and advantages of our RARx additive with tyre powder. 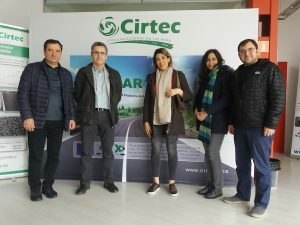 During the visit they were specially interested on RARx adding process when usual production of the asphalt mixture, being pleasantly surprised by the ease of use of the RARx in the asphalt plant mix. Next weeks both companies will study steps to execute a trial test as soon as possible looking for the evaluation and subsequent use of RARx in road works by Kandovan Pars.